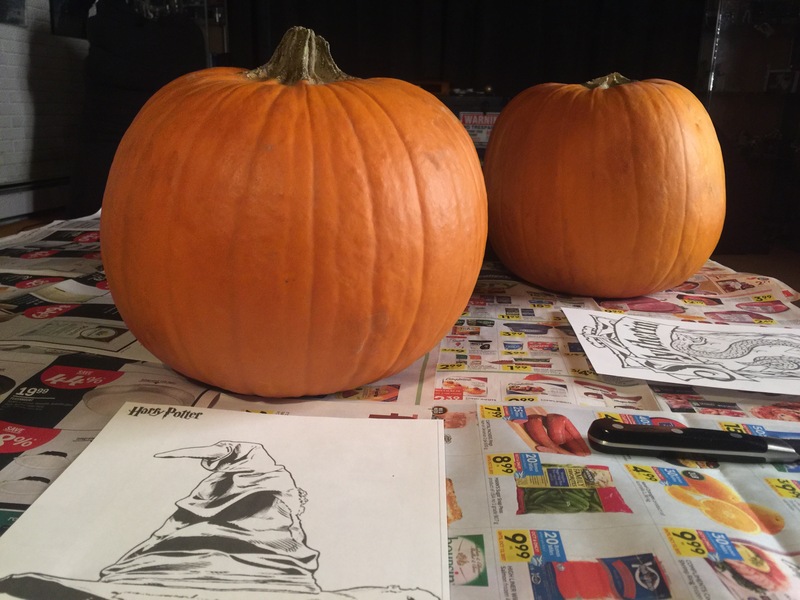 This year my oldest and I were carving the pumpkins. I usually do the more intricate styles and take my time. 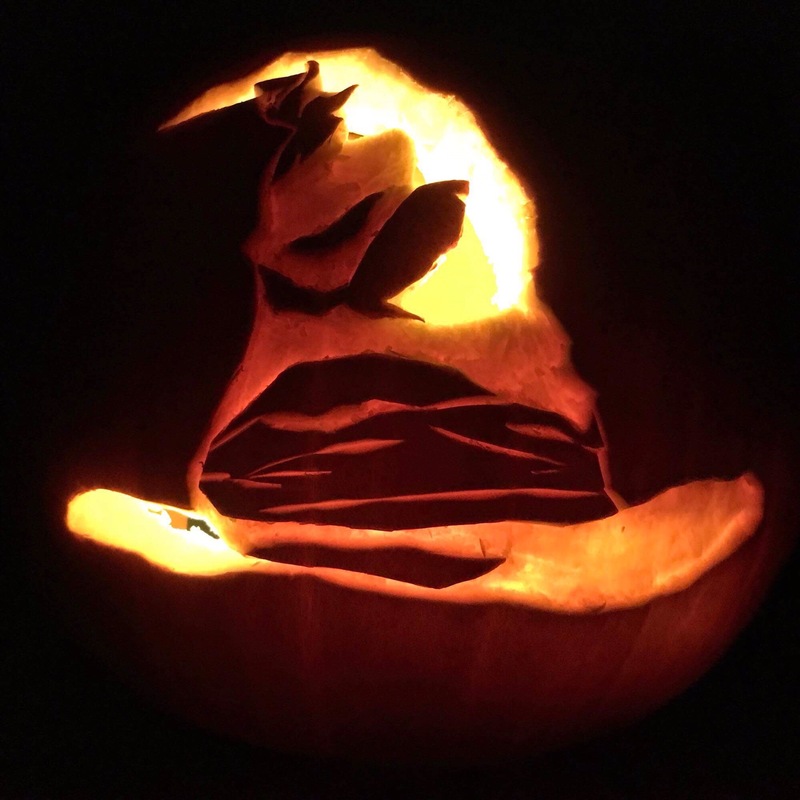 I shared last year in Pumpkin Carving some of my older styles. 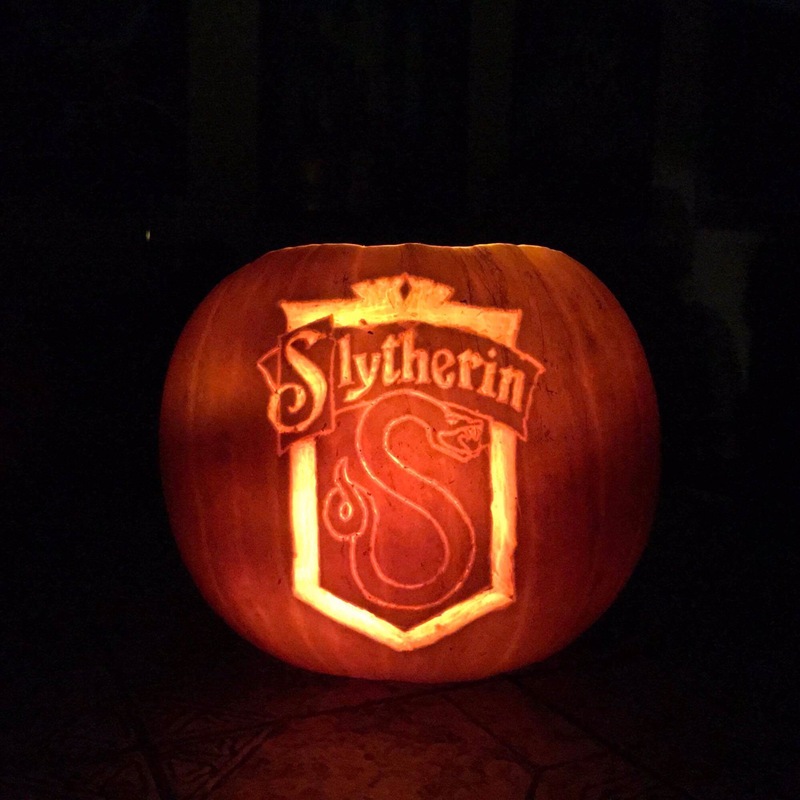 This year my daughter and I went for a Harry Potter theme. I worked on the Sorting Hat and she did the Slytherin emblem. We had a good daddy/daughter afternoon as we watched “Zombieland” and carved the gourds. I got some decent shading effects and lighting on my pumpkin. I see where I could improve the image. There’s a bit more left to cut out. But we had to break for dinner. Dinner that I was supposed to make… so it ended up being ordered in sushi. My daughter on the other hand is pretty much done. I’m very impressed by her artistry. Each year she gets better. As a life skill- this isn’t much more than a fun activity that she shares with me. I hope that these are the moments she reflects fondly upon as she grows up. It’s been a lot of fun. I can’t wait to see next year’s pumpkins and spend more time together being nerds.